HTHC’s focus is introducing yoga to beginners because we know that a regular yoga practice promotes health + wellness, increases capacity and builds resilience. Yoga is an effective coping skill that alleviates anxiety, depression, stress + trauma and can be helpful in supporting people in recovery.Hands to Heart Center provides 8, 10 and 12 yoga class series, in which the requesting community partner provides the students and the space for the class. These series are typically provided weekly but can also be provided monthly. Note: Hands to Heart Center requires at least 4 weeks’ notice for yoga class requests. HTHC Volunteers receive HTHC’s monthly email Update on the first Tuesday of each month. The Update contains all of the yoga class requests for the following 4-8 weeks. To be included in the upcoming month’s email Update, yoga class requests must be received by the last Wednesday of the current month. (For example, to be included in the April email Update, class requests must be received by the last Wednesday in March). 1. Who teaches the HTHC yoga classes? HTHC screens, orients and supports 200-hour and 500-hour trained yoga teachers from the Boston area who are passionate about increasing access to yoga for all. HTHC volunteers select the classes they’re interested in teaching and are connected through email with the class requestor prior to the start of classes. 2. How many yoga classes will HTHC provide for my organization? Hands to Heart Center provides 8, 10 and 12 yoga class series. These series are typically provided weekly but can also be provided monthly. 3. The people my organization serves may be emotionally, mentally or physically vulnerable. I don't know if they'll be able to practice yoga. Should I still request classes? Yes – anyone can practice yoga! HTHC teachers will customize a class for your specific population. Some of the types of classes we offer are Adaptive Yoga, Chair Yoga, Gentle Yoga, Family Yoga, Kids Yoga, Teen Yoga, Trauma-Informed Yoga, Yoga for Beginners and Yoga for Seniors. 4. The people my organization serves may be anxious or resistant to trying yoga. How will HTHC teachers respond? Our teachers know that most HTHC students have not been exposed to yoga before. We make sure to tell students that all of the yoga cues are options and that students don’t have to do anything they don’t want to do. We also inform students that yoga shouldn’t cause any pain and that students should only do what feels right in their own bodies. 5. 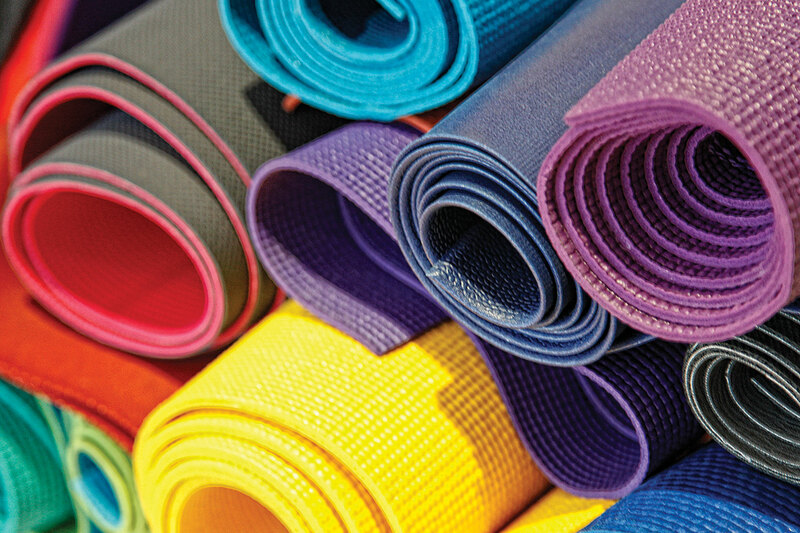 Do we have to provide yoga mats? No, HTHC staff deliver the requested number of yoga mats along with an HTHC Class Kit to the program site prior to the first class. The HTHC Class Kit contains LED candles, essential oils, mat cleaner + cloths, a teacher notebook, HTHC waivers + optional photo release forms and teacher name tags. 6. Can our staff participate in the yoga classes? Yes! We love when program staff participate in the classes so that they can experience the benefits of yoga for themselves. 7. How does HTHC pay for the free yoga classes? 8. How many times will HTHC provide an 8-week yoga class series for my organization? HTHC will provide one 8-week (or 8-month) yoga class series for your organization with the possibility of a second series depending upon the strength of the partnership and the availability of teachers.